Lakefront home with the privacy you've always dreamed of! 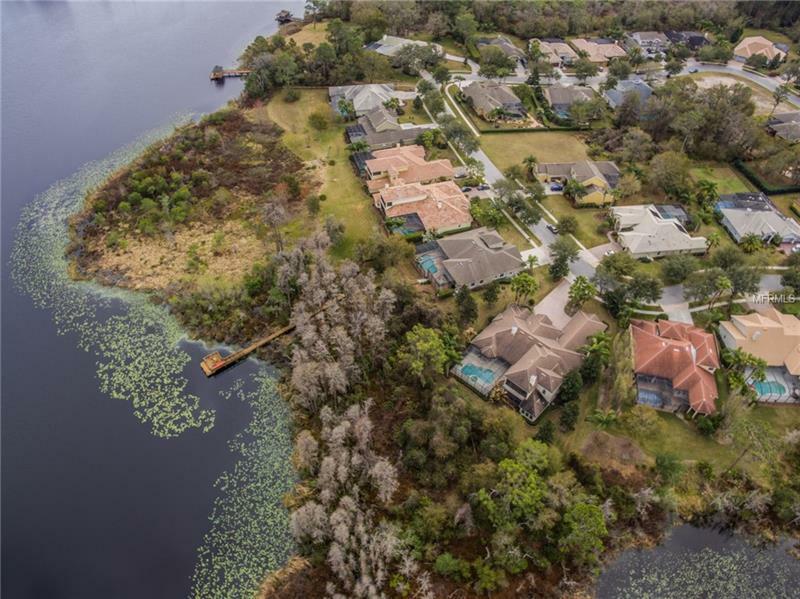 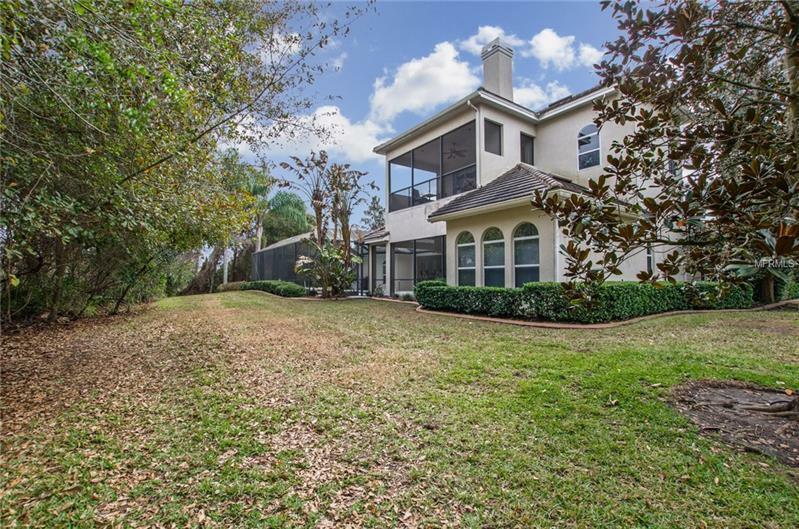 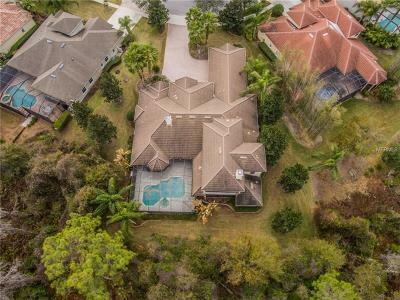 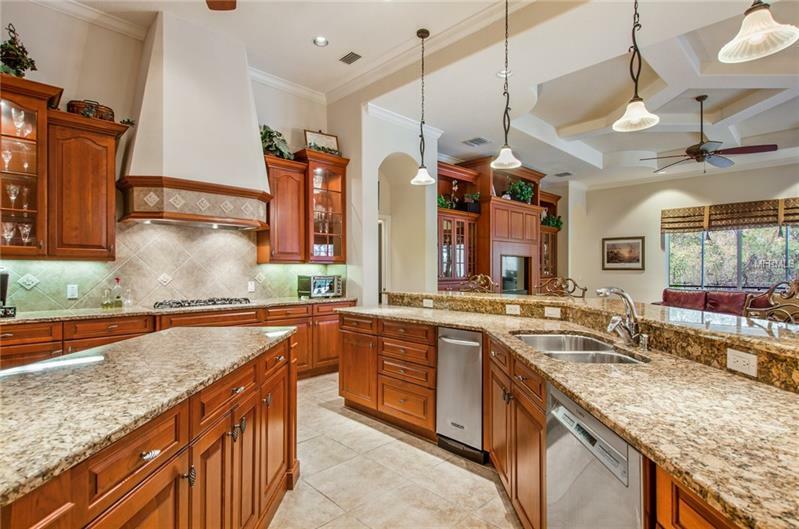 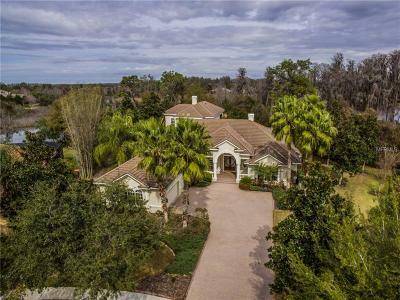 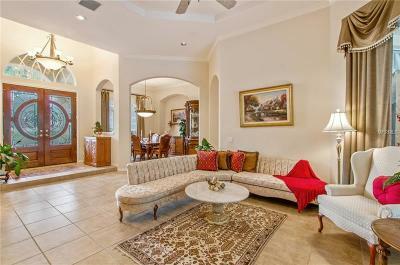 Exceptional custom built home in gated Water's Edge community features 5019 square feet and oversized 3 car garage. 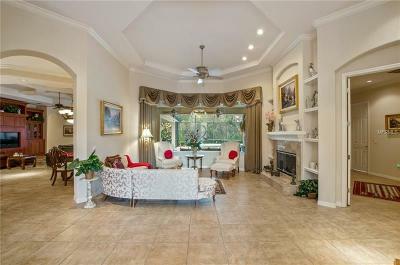 Double solid wood and lead glass doors welcome you into the formal living space with gas fireplace & oversized bay window and view of the Lanai. 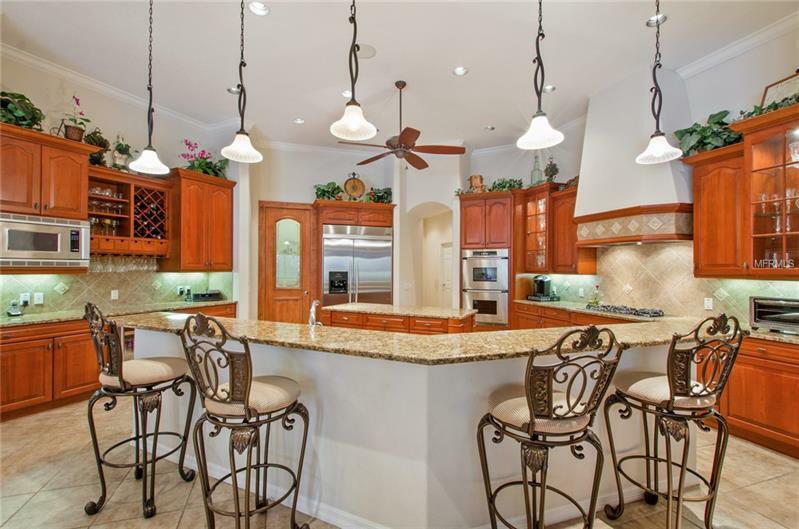 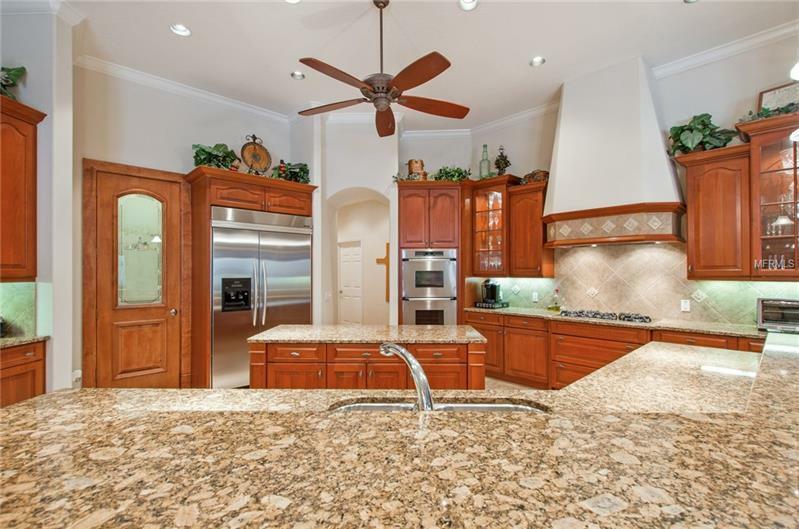 Spectacular Gourmet Kitchen features Cherry cabinets, lighted glass front cabinets, double ovens, stainless steel appliances, granite, gas cook top, wine cooler, large island & walk in pantry with custom built storage. 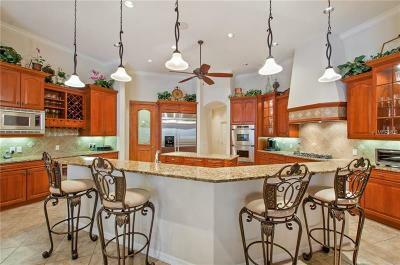 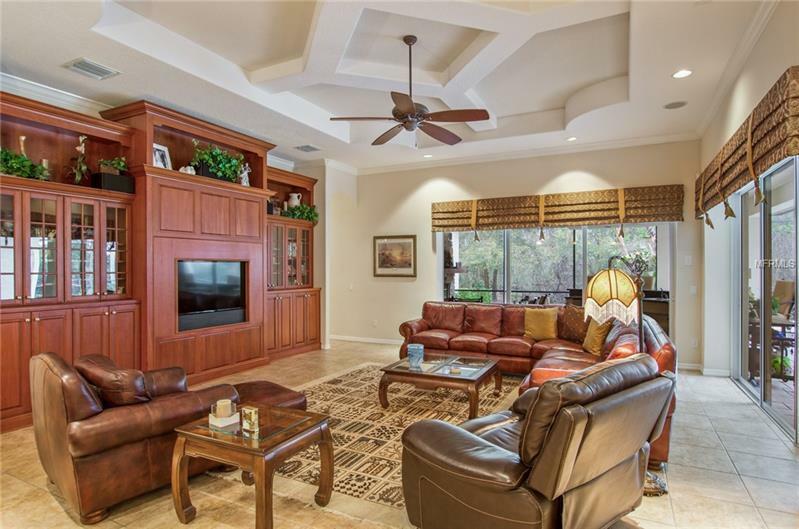 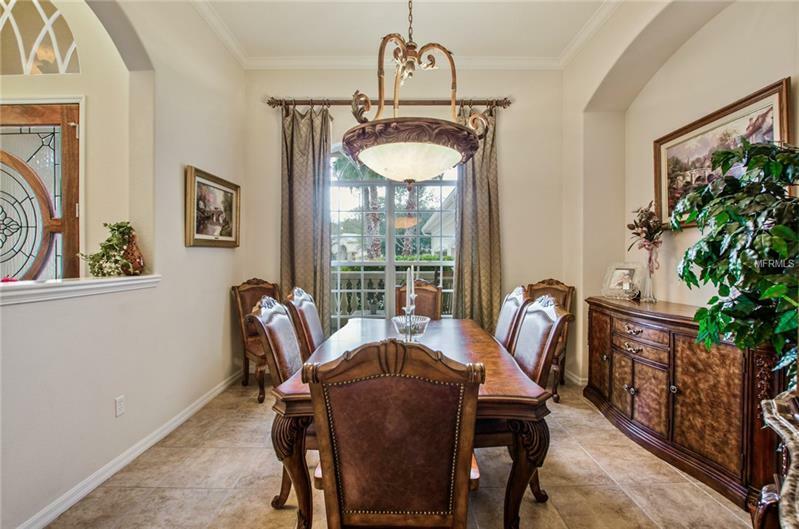 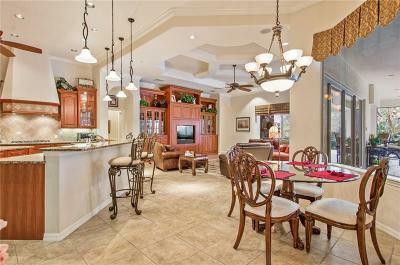 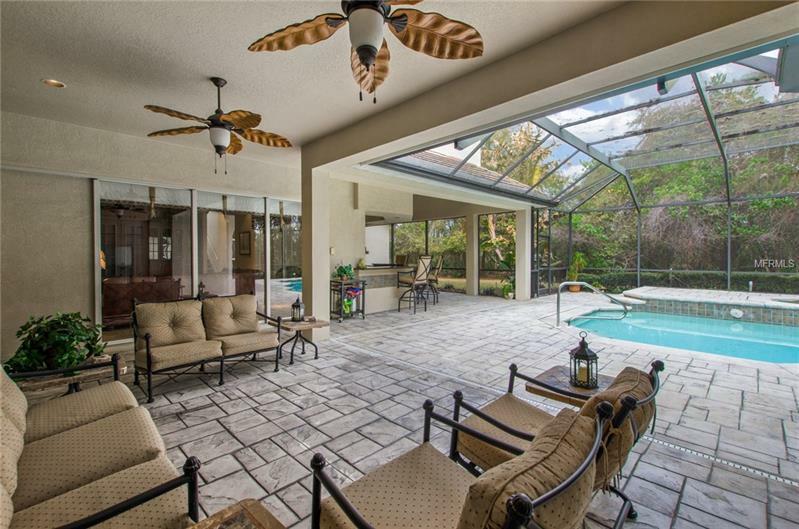 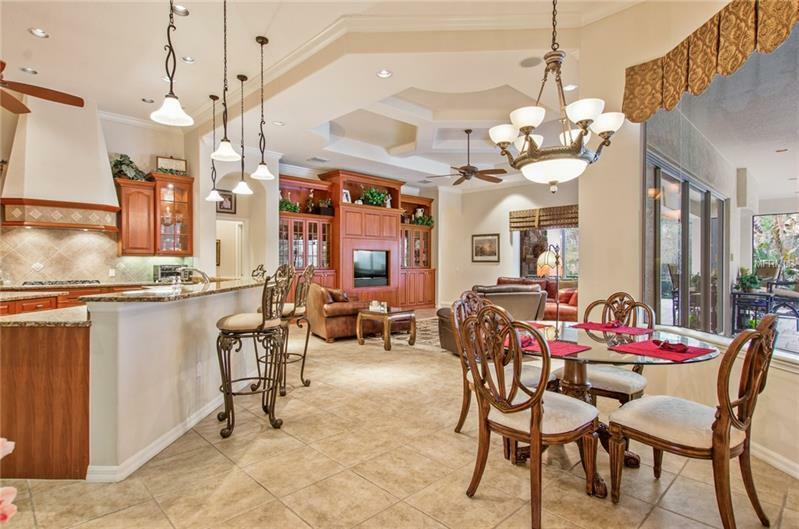 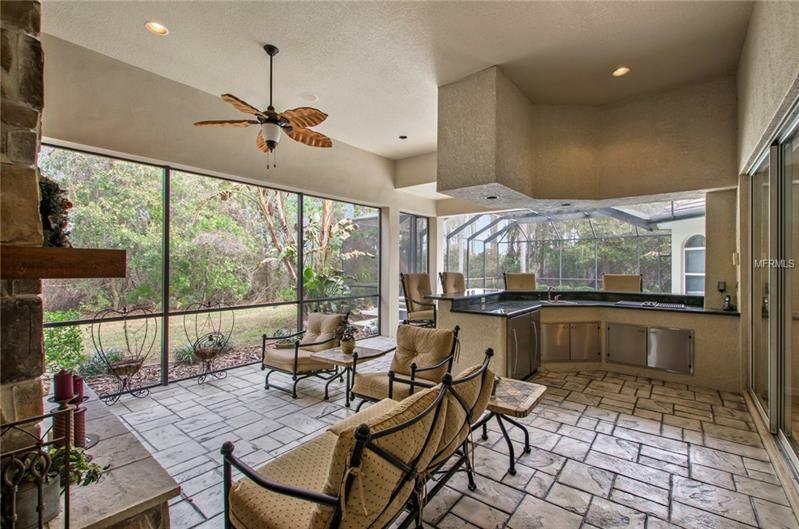 Kitchen is open to the large family room that boasts a coffered ceiling, pocket sliding doors and a view of the pool. 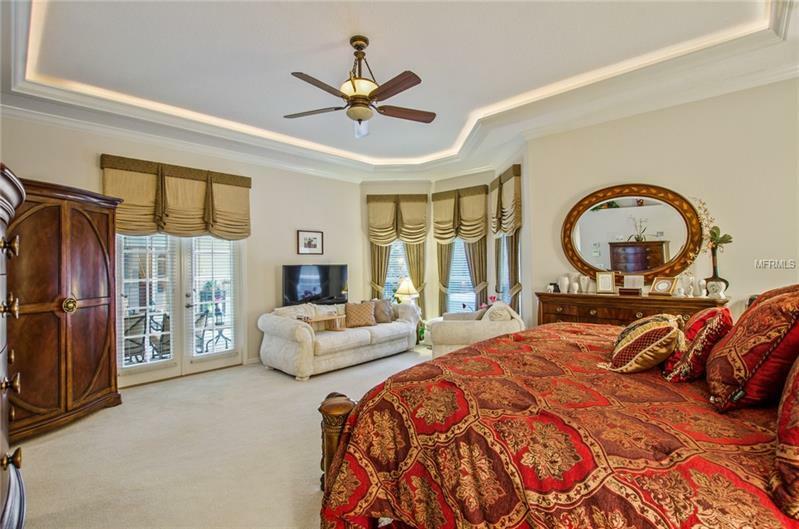 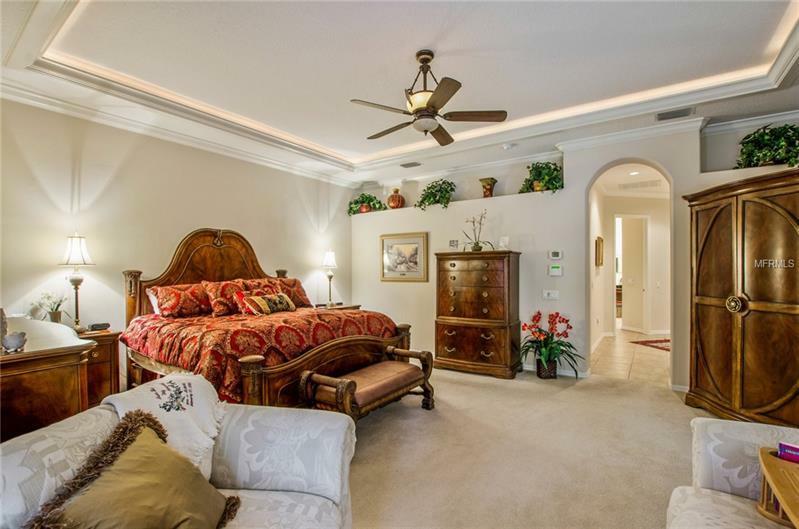 Master suite features tray ceiling with crown molding, custom lighting, French doors leading to the lanai, 2 walk in closets with custom storage. 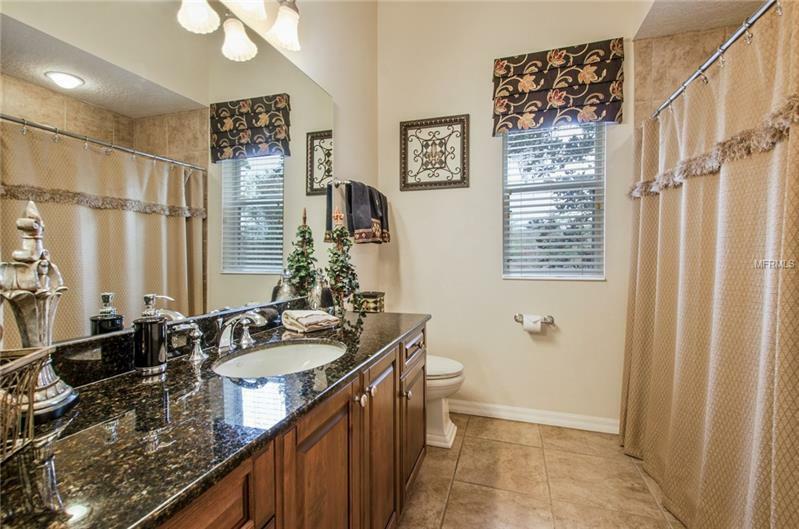 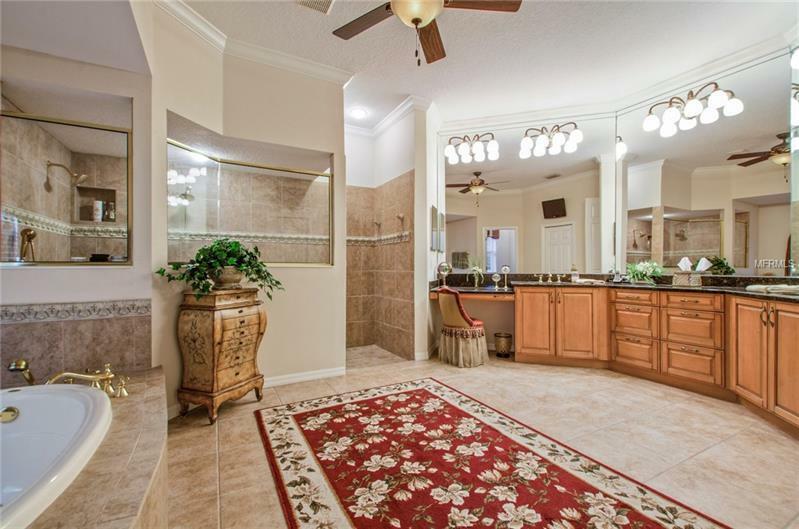 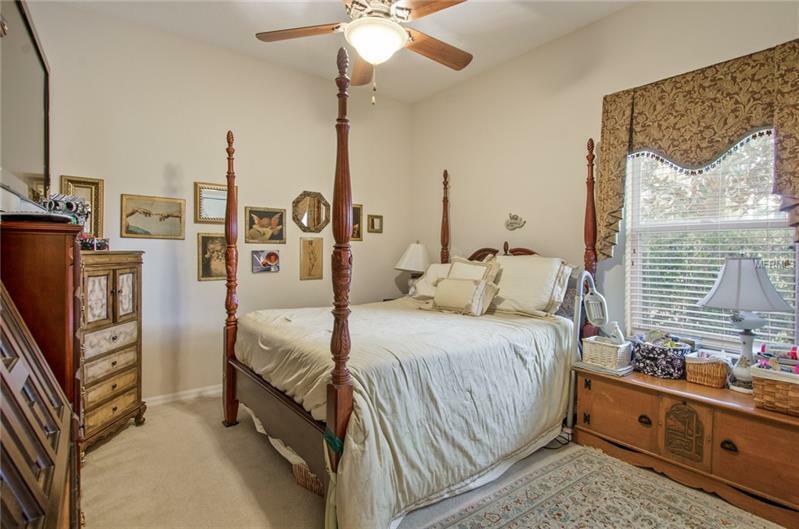 Luxurious master bath has large walk in shower, double sinks, granite and soaking tub. 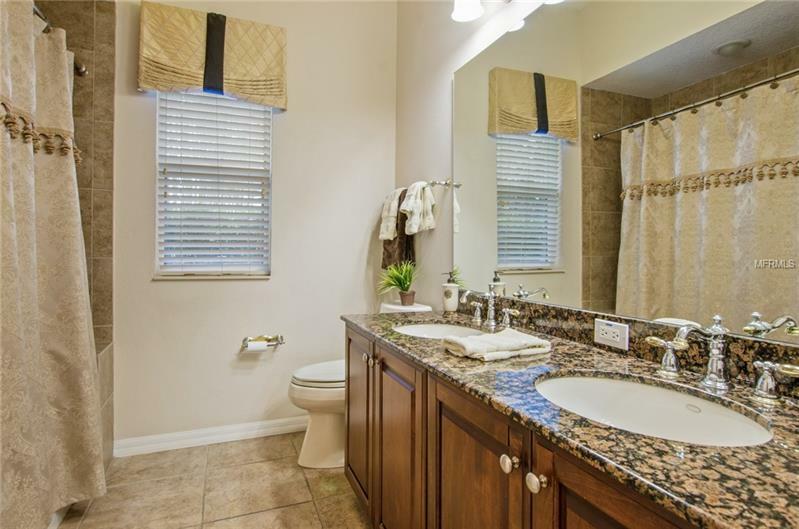 Pocket door leads to two of the large secondary bedrooms and a full bath with tub and granite. 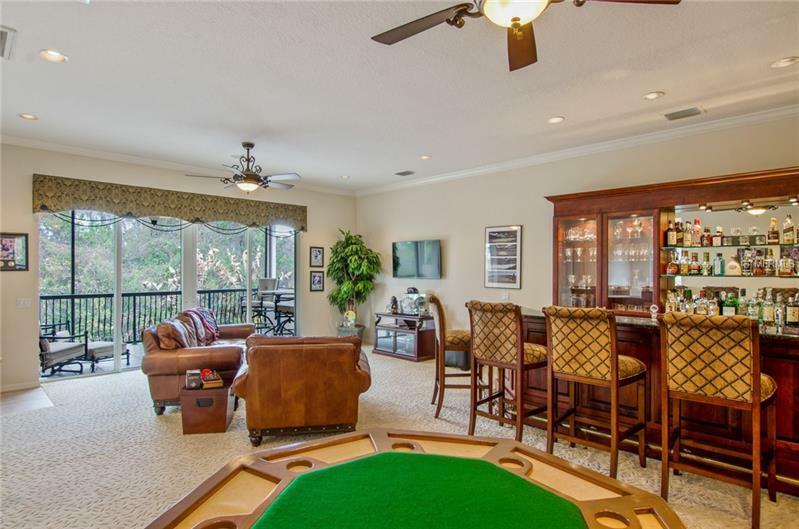 Second floor consists of a large bonus room with a beautiful bar, full bath and screened balcony that offers a tranquil retreat with a view of the lake. 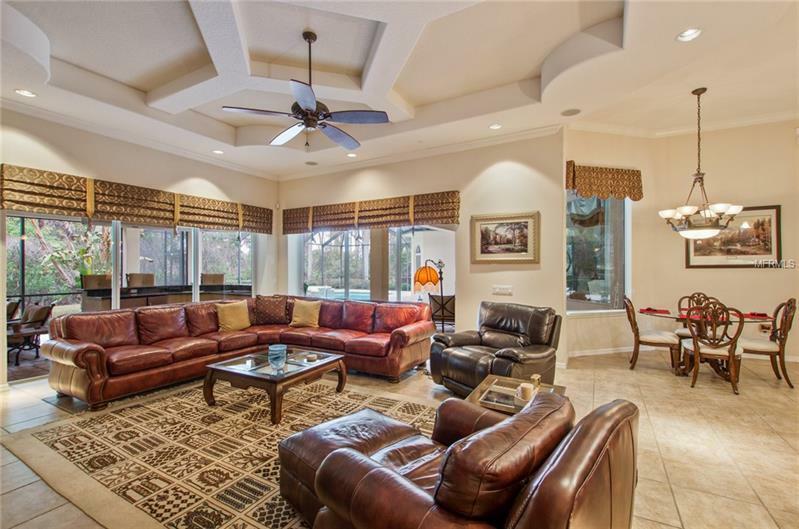 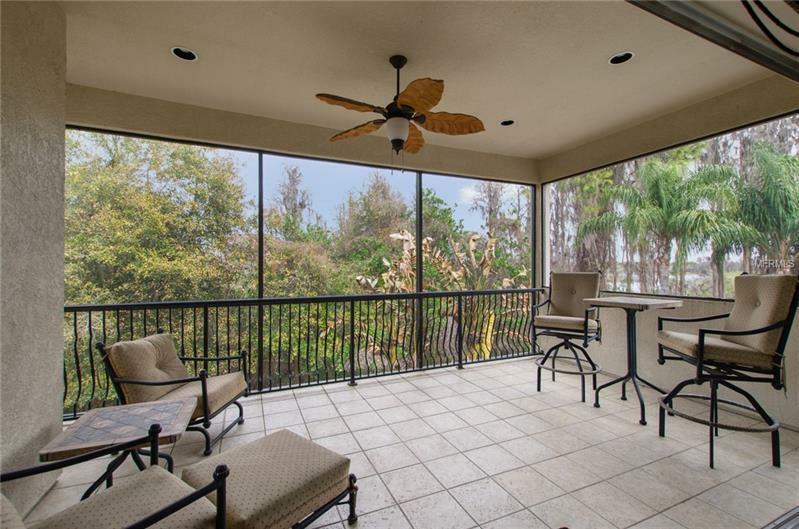 The spacious lanai is an entertainerâs paradise with heated pool, spa, fireplace and outdoor kitchen with granite.Please view the virtual tour! 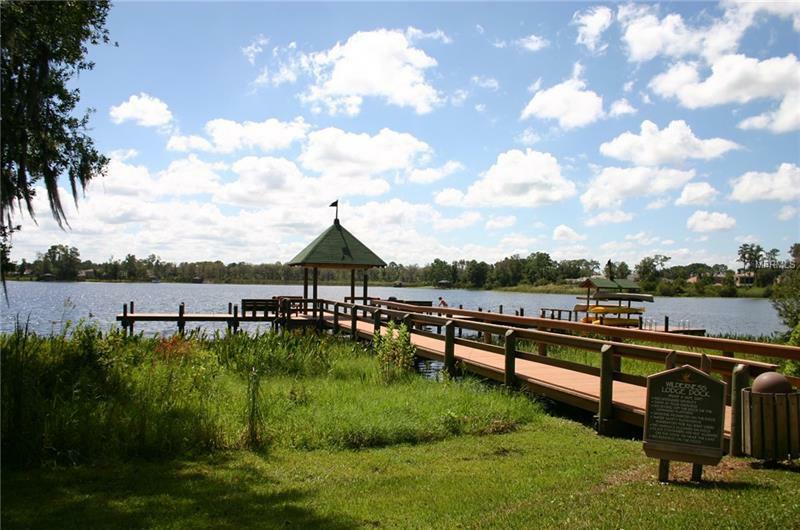 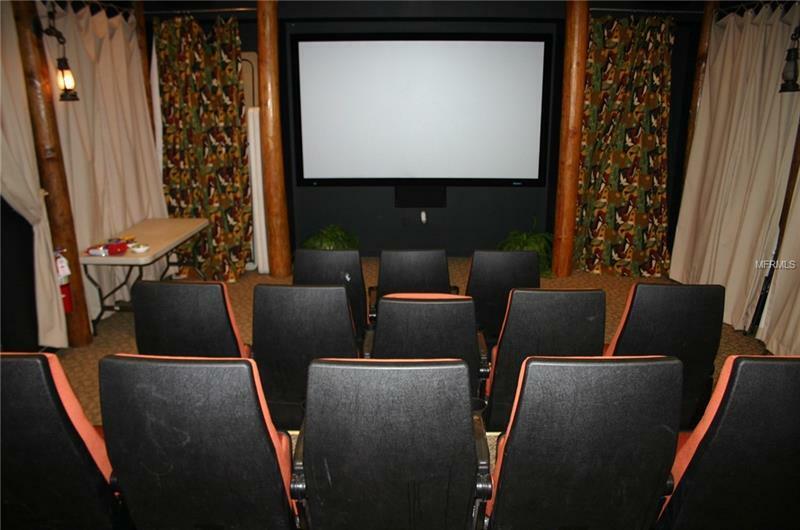 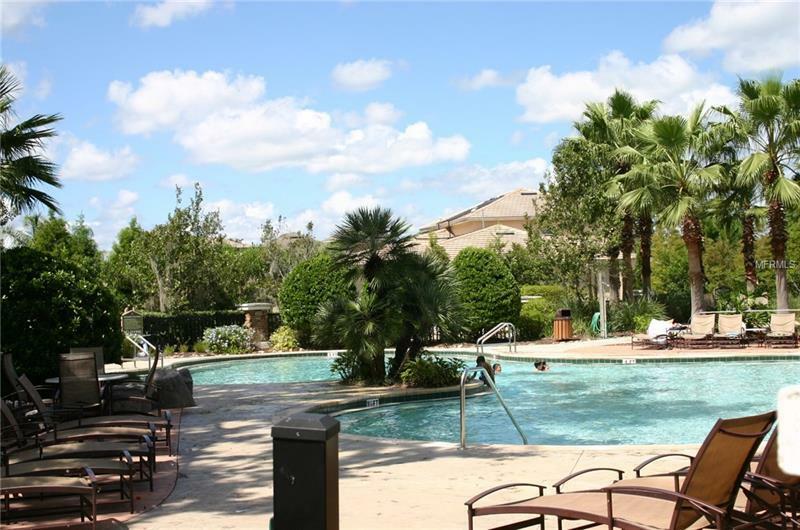 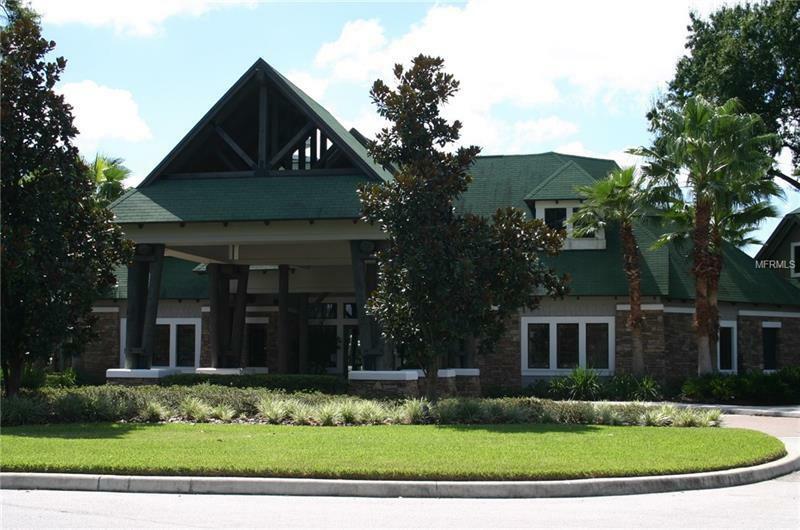 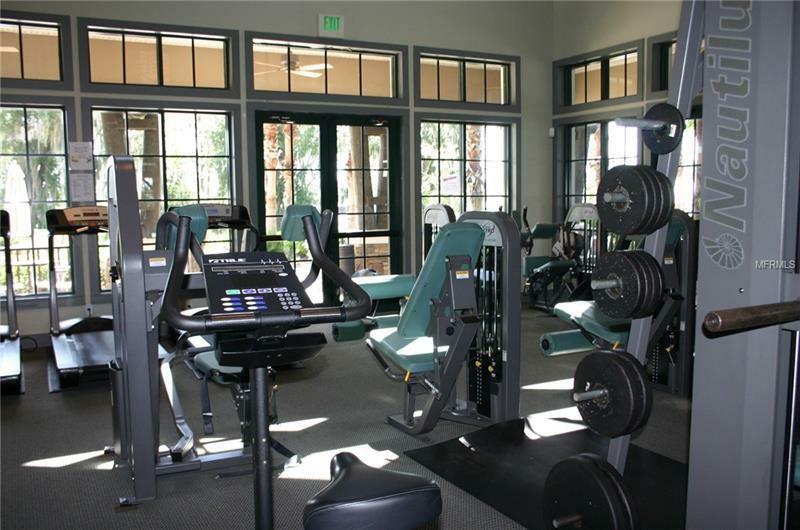 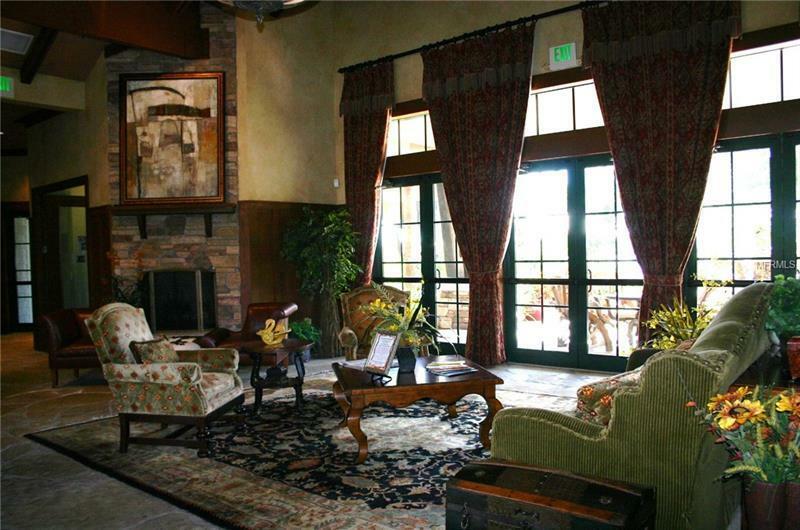 Wilderness Lakes community has a clubhouse, gym, movie theatre, pools and pier on the lake. 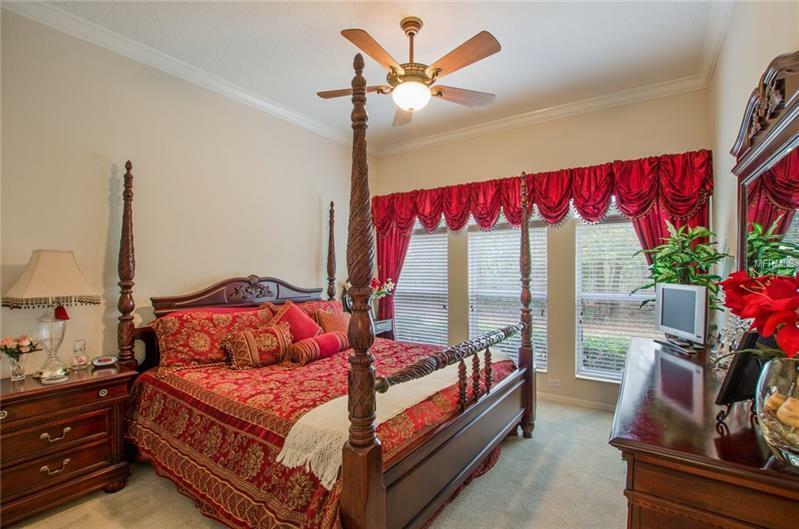 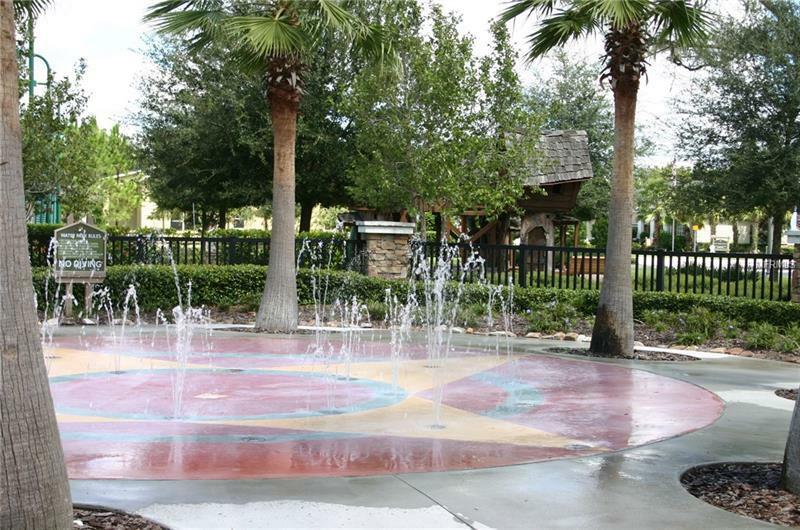 Only 30 minutes to Tampa International Airport and 90 minutes to Orlando theme parks!Top rated schools, close to shopping, restaurants and new outlet mall.